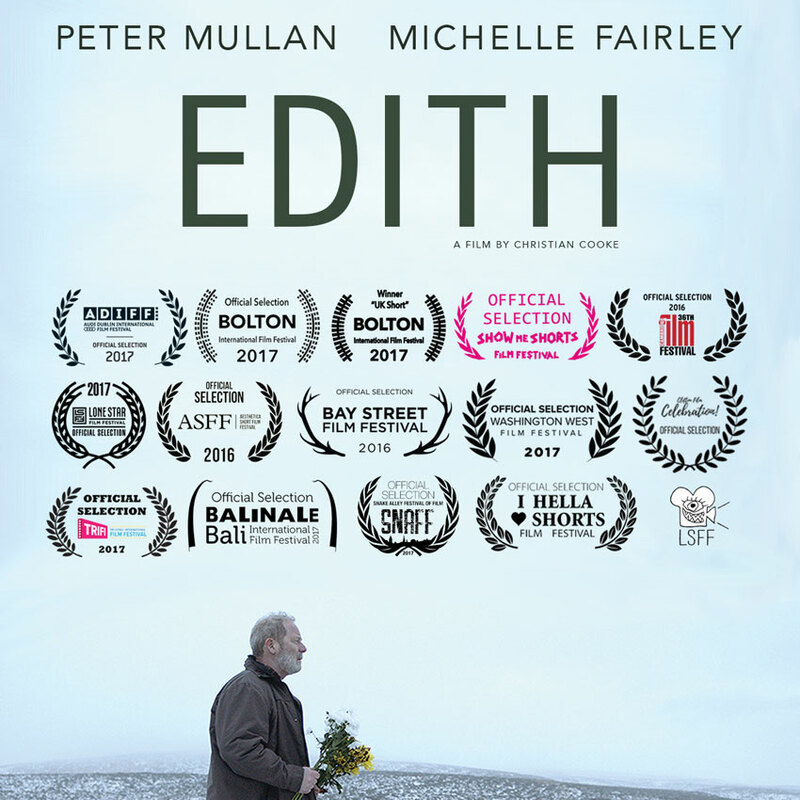 Edith is a short film written by Ray Robinson (Electricity) and directed by Christian Cooke (The Art of More, Ordeal by Innocence) about the loneliness of an elderly man, played by Peter Mullan (Tyrannosaur, Westworld). I wrote the soundtrack for it, way back in 2016. Since then it's been doing an impressive run on the festival circuit, and made the BAFTA long-list. It is now available to view online for free via Vimeo. 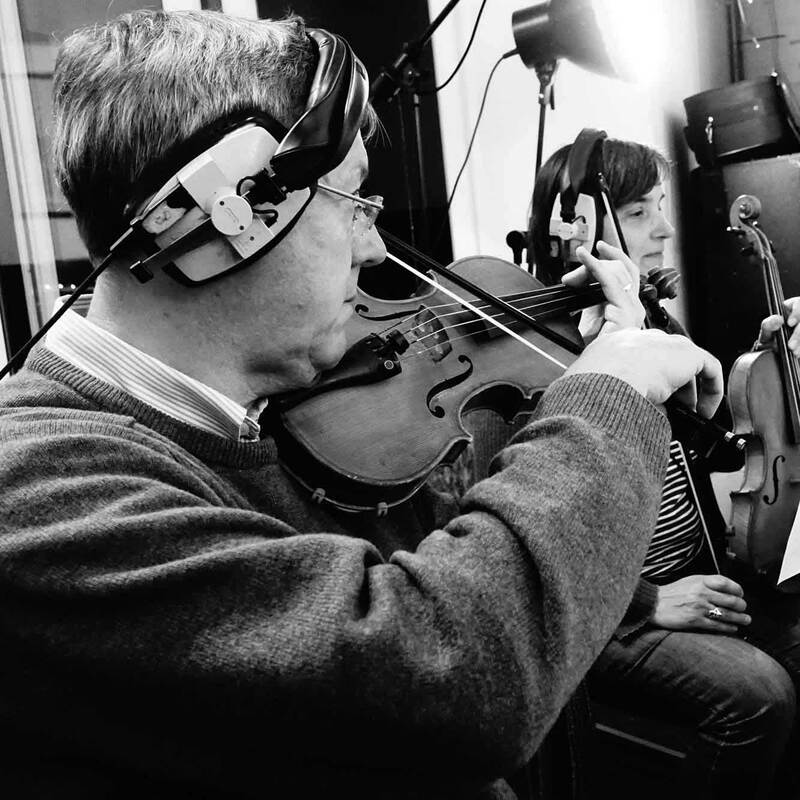 Richard and Creative Technologist Tom Armitage created an innovative way for Jon to take the music on tour without a live band or any audio equipment. At the start of each performance, Jon would tell his audience to keep their phones on, turn the volume up, and visit his tour webpage. On this webpage, audio would automatically download to audience's phones, and play when triggered by Jon's remote on his own phone. 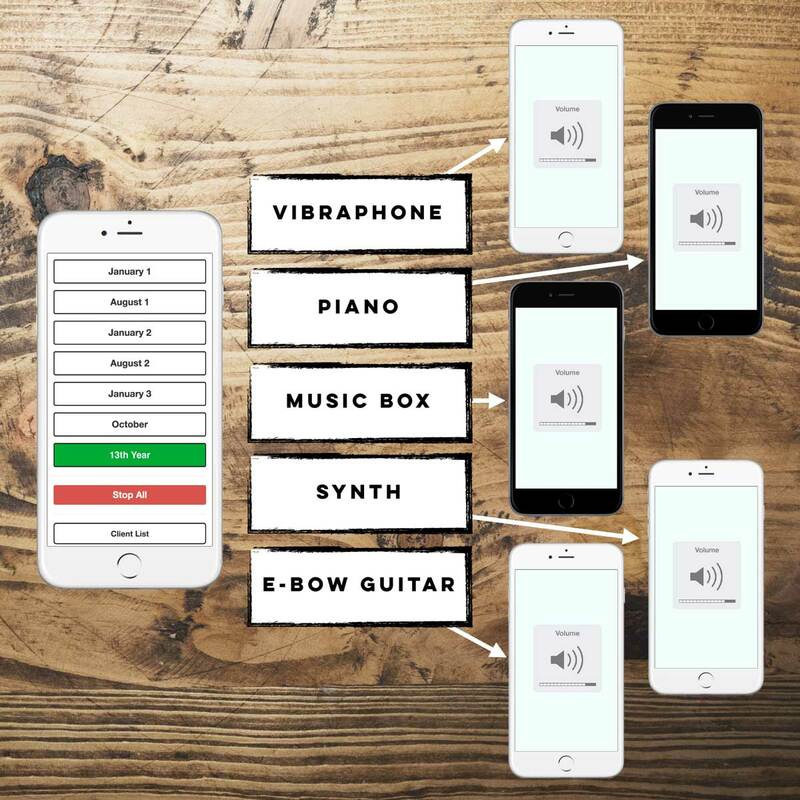 Each of the audience's devices would play a separate instrument from each piece, constructing a moving, communal surround-sound experience. Reservoir 13 (Music for the Novel by Jon McGregor) is released on Ltd. CD and digitally by Time Travel Opps on November 30th 2018 on all streaming/download platforms. 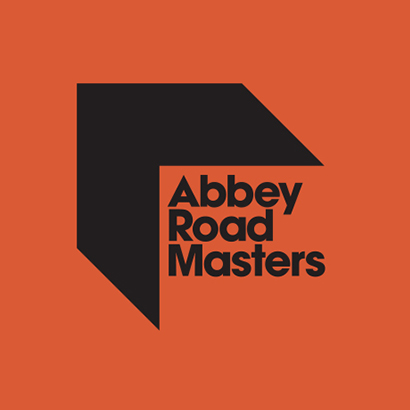 I was back in Abbey Road Studio 2 last week to record a number of pieces for a piano-centric album, on a soon-to-be-announced brand new production music library. So with those treatment options we could layer up five different piano sounds. 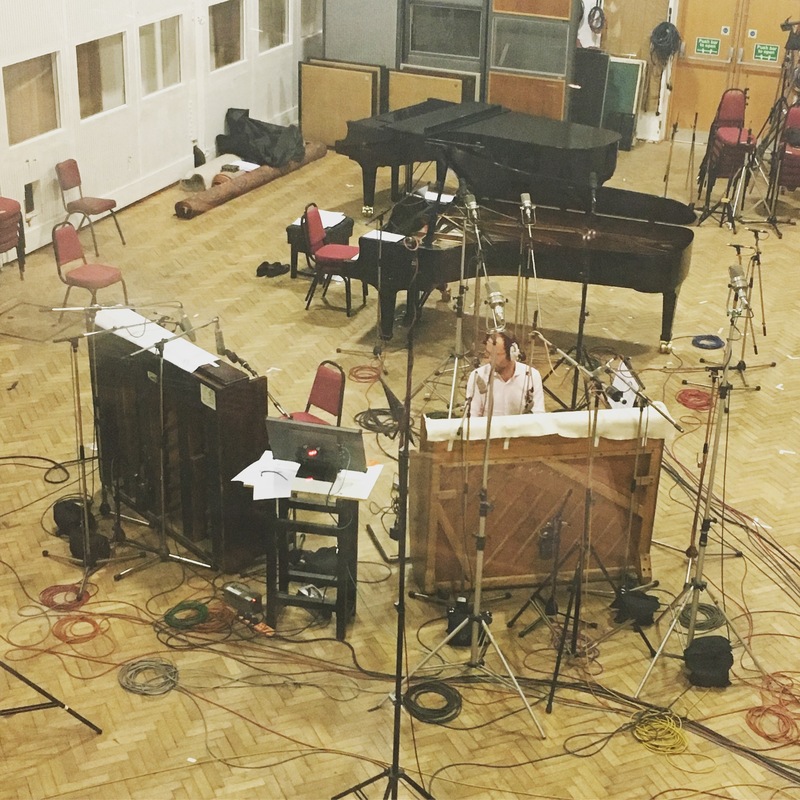 The mics on each piano were piped into the Studio 2 echo chamber, and also back into a vintage EMI TG12345 for a saturated signal. Oh, and then back into the isolation booths for re-amping in vintage VOX amps. We were pretty spoiled for choice, and Nathan was a fantastic performer for all composers involved. 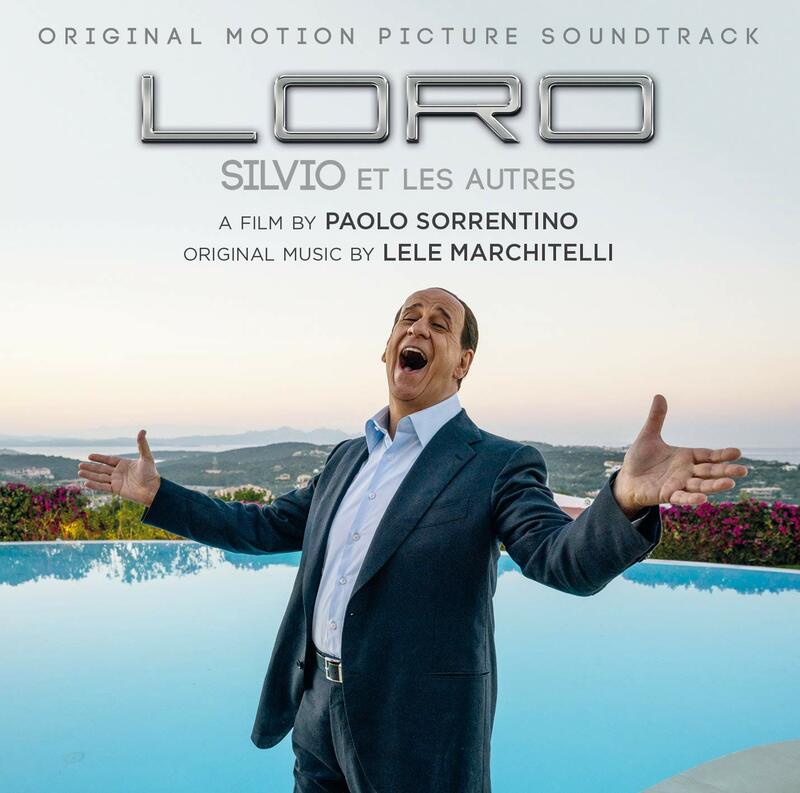 The soundtrack to Paulo Sorrentino's new film LORO is out now via Indigo Film. It's a double album featuring the soundtrack by Lele Marchitelli as well as other music used in the film, including Richard's piano piece Vigil V, from Vigils. 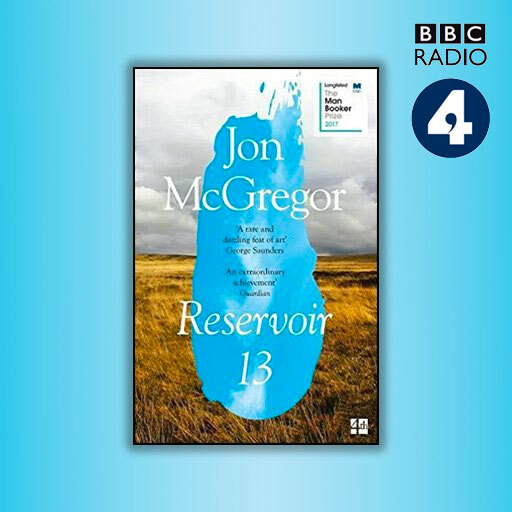 Richard's track 'Vigil VI' is the soundtrack to the BBC Radio 4 Book at Bedtime version of Jon McGregor's novel Reservoir 13 (Costa Novel of the Year 2018). This follows Richard writing an original soundtrack for the novel, commissioned by the author to take on tour. Richard's track Vigil I soundtracking The Reservoir Tapes, also for BBC Radio 4. 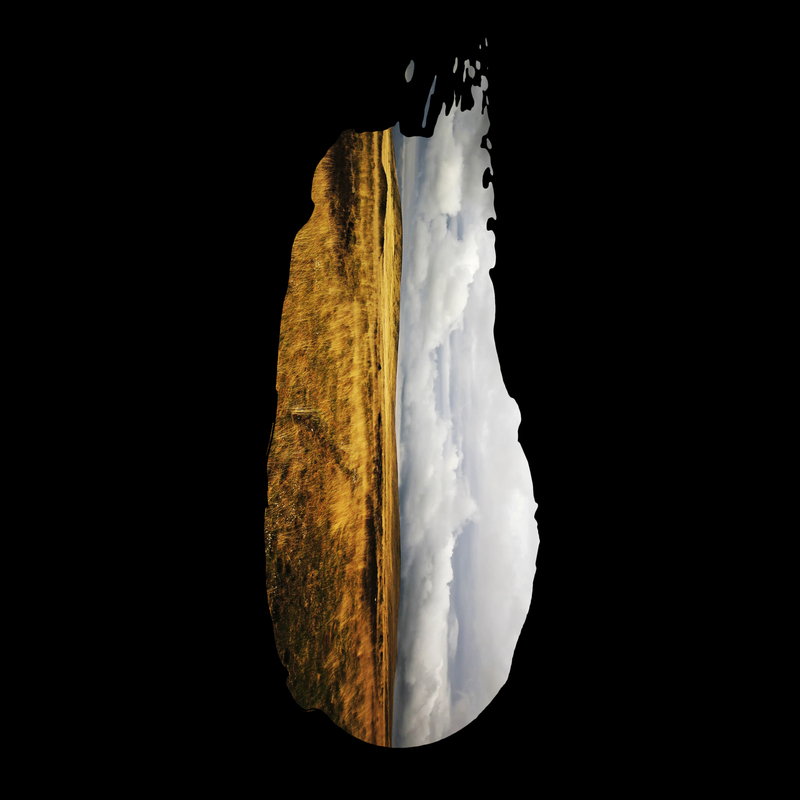 The really quite wonderful new album from dream-pop songwriter Grawl!x hits the shelves today on vinyl, via Reckless Yes Records. Most of the tracks on this one feature string arrangements by Richard. The pianos were also recorded at Richard's Derbyshire studio. 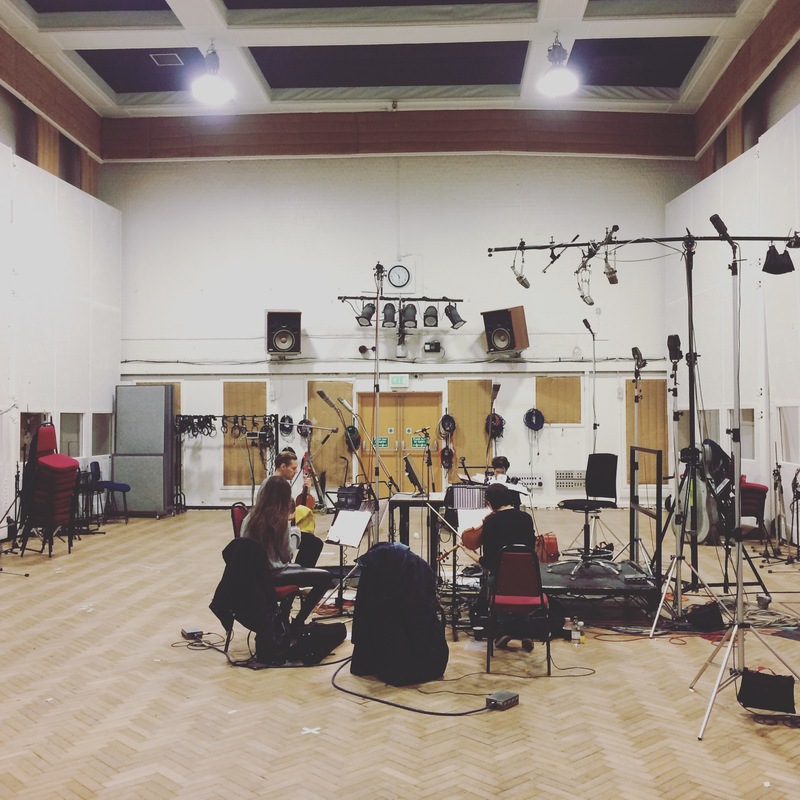 I spent the first week of 2018 in London recording at the mighty Abbey Road Studio 2 with the London Contemporary Orchestra players (string quartet + piano). Man, what a place. What a reverb! What a microphone collection! I'll be heading back here every couple of months to complete new recordings for different albums of production music for a brand new library. 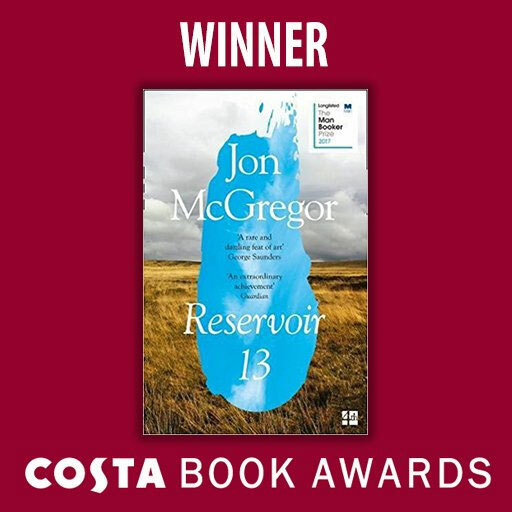 Earlier this year I wrote a soundtrack for Jon McGregor's new (and Booker-longlisted) novel Reservoir 13, published by 4th Estate. Shortly after the release of the novel, BBC Radio 4 commissioned Jon to create 15 prequel stories for radio. The episodes air at 19:45 every Sunday (starting the Sunday just gone) and feature music taken from my album Vigils. 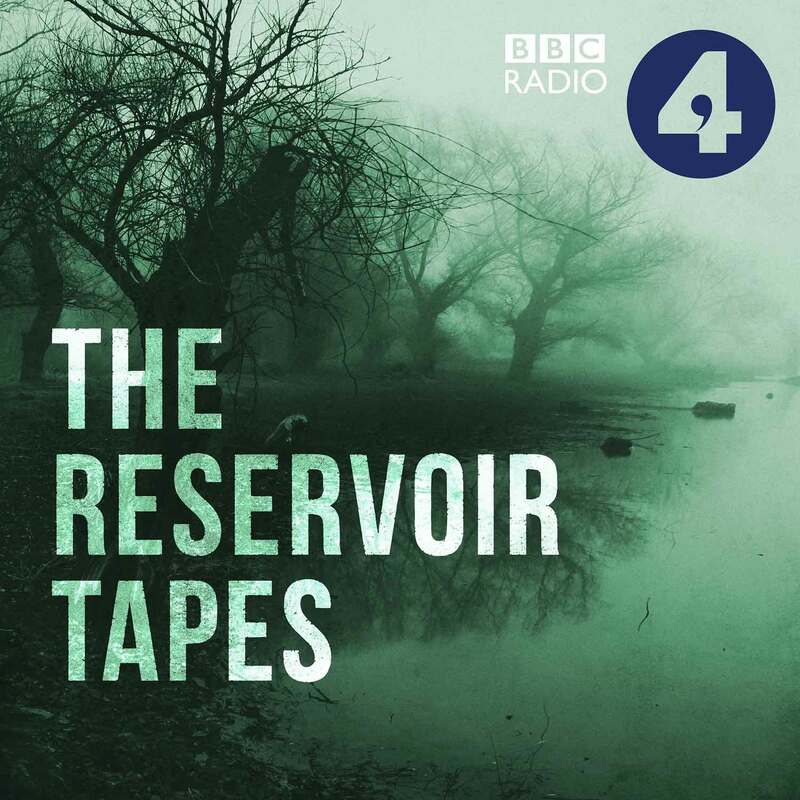 "A series of specially-commissioned stories on BBC Radio 4, The Reservoir Tapes returns to the territory of the Booker-longlisted Reservoir 13, revealing the web of connections that bind us, and the many layers on which we all build our truths." The first episode, Charlotte's Story, is read by Indira Varma (Game of Thrones) and available to listen to now on iPlayer Radio and iTunes. A book containing versions of the 15 stories will be released in December this year. Had the pleasure of working with director James Sharpe again for this film made by CNN's Create Studios for Great Big Story. It's about a couple on holiday in Japan who have a bit of a marital crisis. 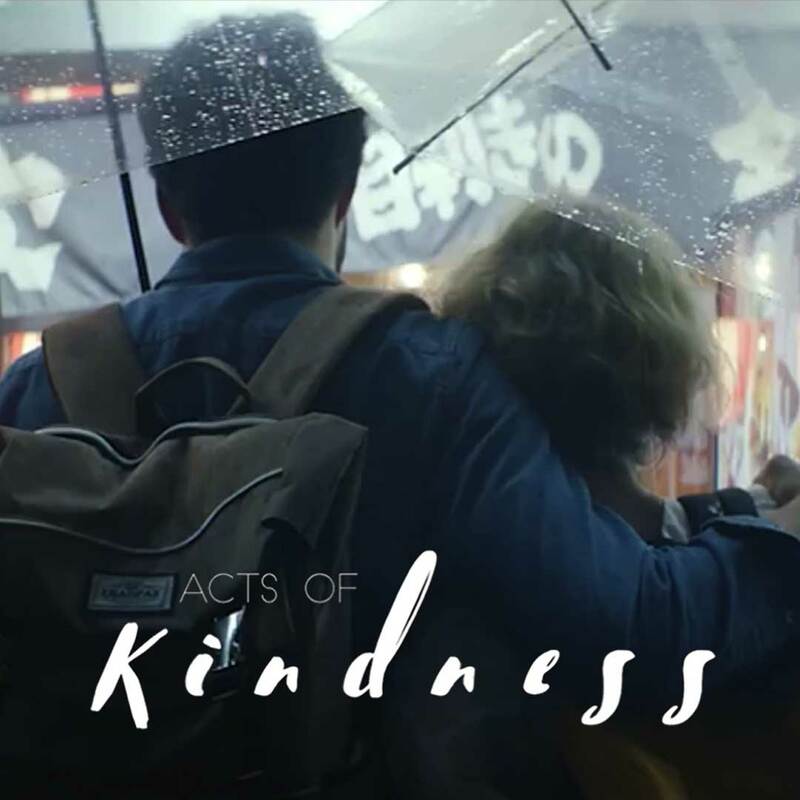 Their marriage is saved, and their world view changed forever by a simple act of kindness by a total stranger. 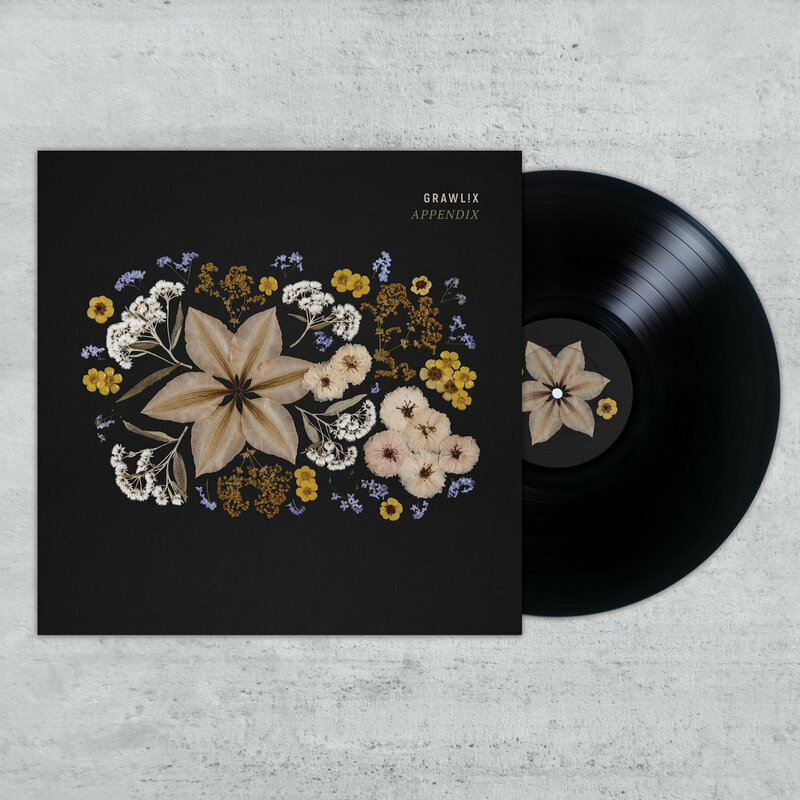 Over the summer I've been writing the strings for Grawlix's dreamy third album 'Appendix', due out next year on Reckless Yes. This Autumn I put together a trio to see how we could perform songs from Vigils without a string quartet. We emptied out my studio and worked on the lighting too. It's really nice to play these pieces with other people too, since they were all written in isolation. This month I wrote a new piece for a special short documentary for CNN's Great Big Story. It's a piece for piano, string trio, acoustic guitar and synth. 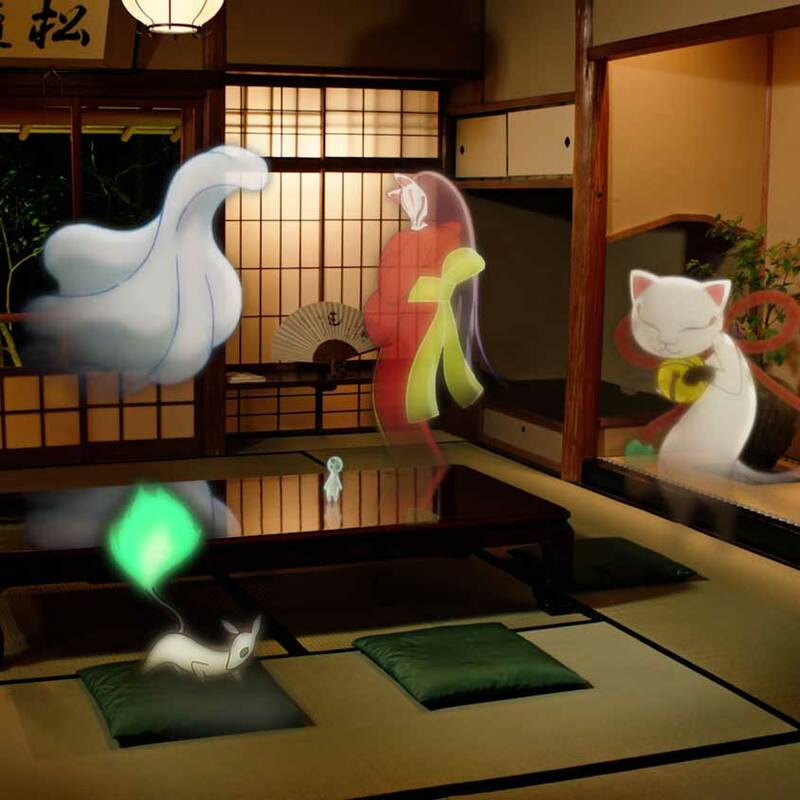 The film follows a food blogger taking a "spirited journey to Kyoto's most isolated restaurant" and features some wonderful traditional style Japanese animation by Studio 4°C. 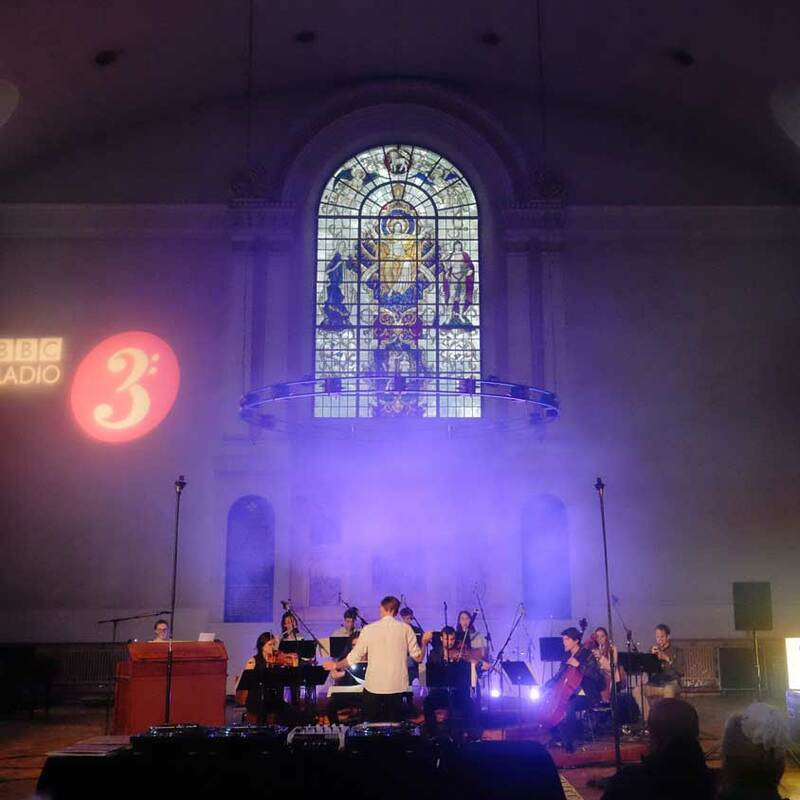 On Friday I was down in London at St. John at Hackney, performing live at BBC Radio 3's Open Ear Concert. The show was live on air, and you can listen back here. I was performing using my new Modern Music Box, Twinklr. You can read more about that here. I played two tracks: 1. A live solo reworking of one of my string quartet pieces, Night Sun, from Vigils. 2. An improvisation, starting with a blank screen on Twinklr, adding notes as I went along. 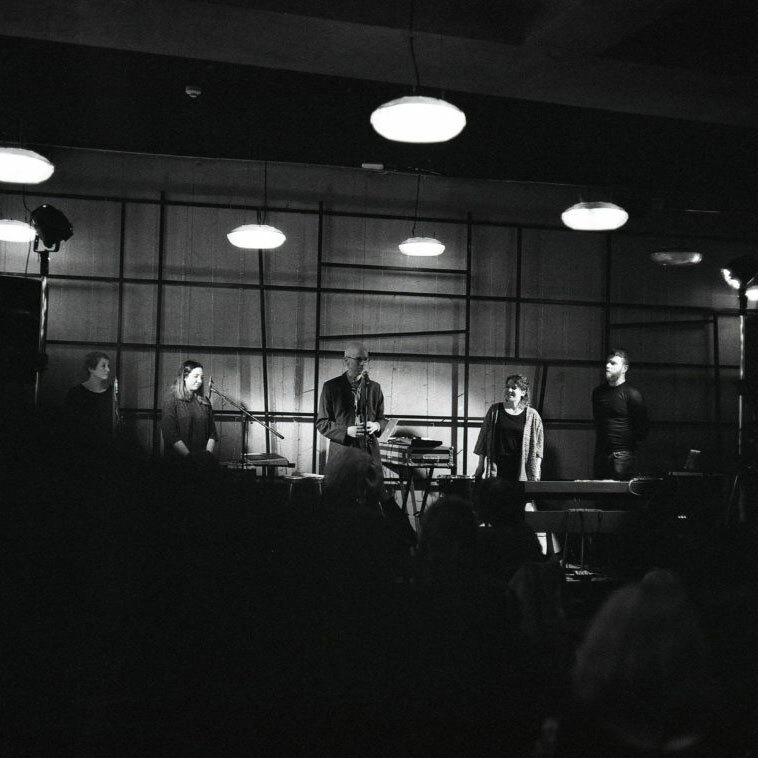 That was a nice feeling - creating a sparse and innocent tune on the spot in a darkened church full of people. 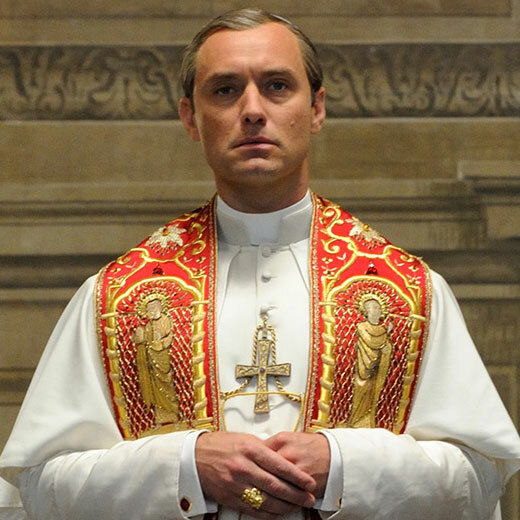 Paolo Sorrentino’s new HBO series The Young Pope began last week. I watched it and was blown away. Not just by Jude Law’s performance, but the beauty of the production is unparalleled. Episodes 3 & 4 (due to air back to back in the UK this week) features my track Night Sun as part of the soundtrack. Really proud to be involved in this series. Night Sun is taken from my album Vigils. 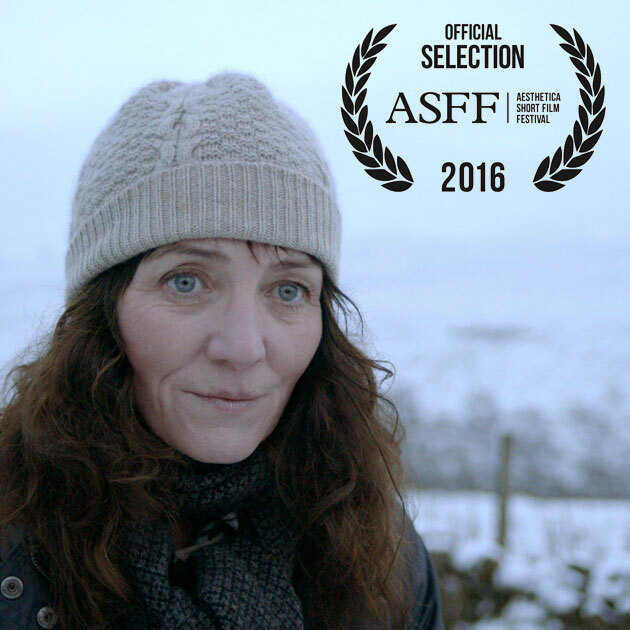 Edith, the short film I recently wrote the soundtrack for, has been selected for this year’s prestigious and BAFTA recognised film festival Aesthetica. 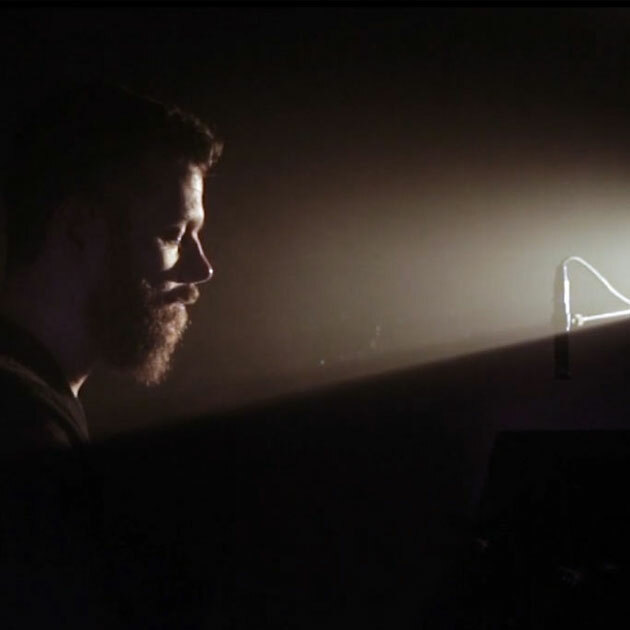 Earlier this year I composed the score to a beautiful short film called ‘Edith’. The trailer above features ‘Vigil I’ from my album Vigils. 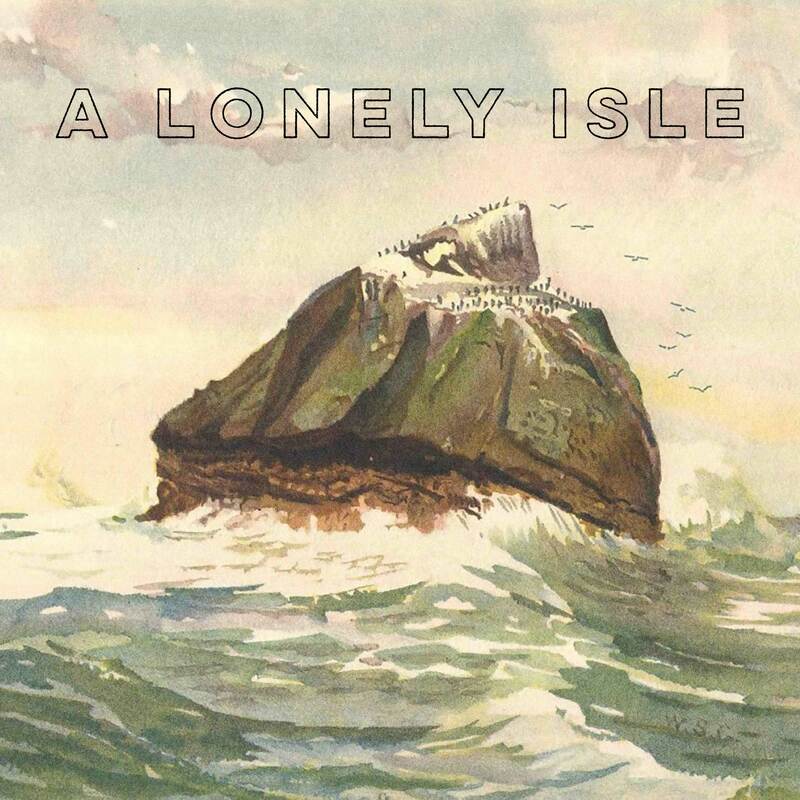 Edith explores the heartbreaking inevitability that is old age. Written by novelist Ray Robinson, whose work has been shortlisted for both the James Tait Black Memorial Prize and the Authors’ Club First Novel Award. His novel Electricity has also recently been adapted for screen and premiered at the BFI Film Festival. This is Ray’s debut screenplay. This is the directorial debut for actor Christian Cooke who continues to emerge as one of Hollywood’s most engaging and sought after talents with showcasing roles in Cemetery Junction, Hello Carter and Romeo & Juliet. 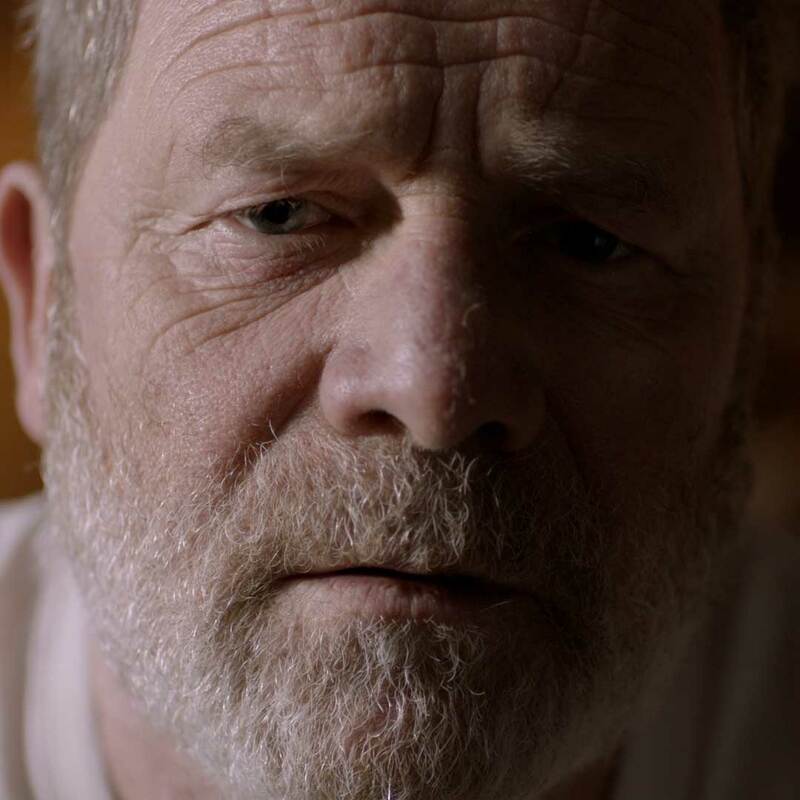 Peter Mullan (Trainspotting, War Horse, Tyrannosaur) takes the starring role of haunted Jake with Michelle Fairley (Game of Thrones, Harry Potter, Suits) as his Sheila. Supporting cast includes Elliott Tittensor (Shameless) and Sia Bennett (Mr Selfridge). Executively produced by Mat Whitecross and Fiona Neilson, whose credits boast the fantastic 24 Hour Party People and Spike Island, this high concept, endearing short film was shot early 2016. It’s doing the rounds of film festivals and special screenings this year. Once it’s online I’ll post about it.